The placental mammals are a very diverse group with an enormous range of body forms and complex social interactions. The 3782 species are divided among 18 orders. 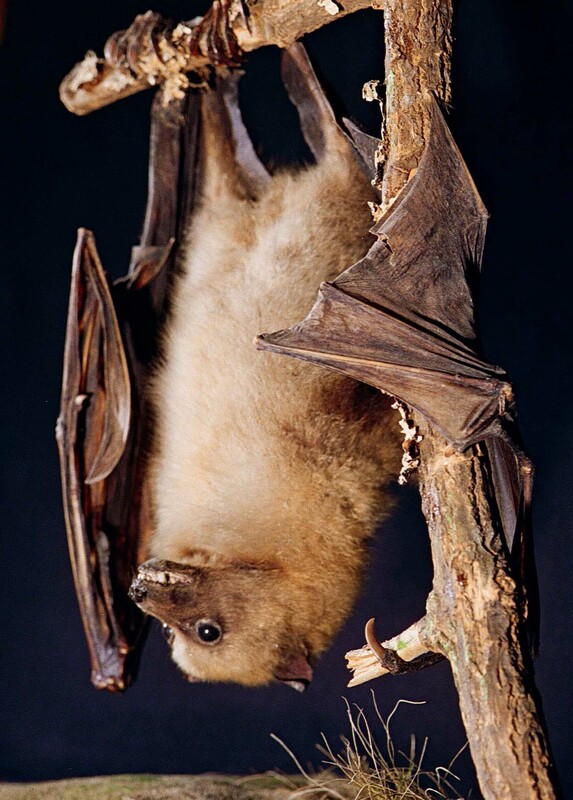 They include the terrestrial insectivores, edentates, ungulates, rodents, carnivores and primates; the bats which are capable of sustained flight; the aquatic seals, whales and manatees. The collections have specimens from 17 out of the 18 orders. Placental mammals differ from the marsupials in that their young develop to a relatively mature stage within a uterus attached to the mother by an allantoic placenta. The placenta allows the foetus to plug into its mother's circulation and share her respiratory and excretory systems, and the nutrients carried in her blood. Mammals, like marsupials, feed their young with milk and care for them for prolonged periods until they can look after themselves. Dentition and the way the jaw moves to cope with different foods - insects, meat or vegetable matter - have been the dominant influences on the evolution of the jaw, its articulation and musculature and the overall form of the skull in the different eutherian orders. A mammal's life style is revealed more by its teeth than by any other feature. molars (M) crush and grind. 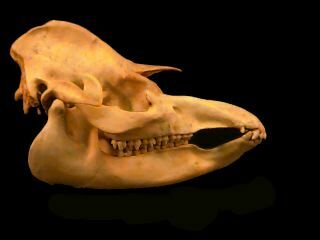 Only some anteaters and whales lack teeth, due to their diet. A mammal's dental formula expresses the numbers of each type of tooth in one half of the upper jaw and one half of the lower jaw. The lower teeth are borne on the dentary bone, the upper on the premaxilla and the maxilla. The most primitive formula is I3/3; C1/1; PM 4/4; M 3/3. Early eutherians were insectivorous and members of the Order Insectivora, some omnivores and more unspecialised carnivores are closest to this arrangment. Placental mammals typically have two sets of teeth - the milk teeth are replaced by deciduous teeth as the animals mature. Early eutherians were insectivorous and modern insectivores retain the primitive dental formula from which more specialised dentitions evolved. The four types of teeth have special functions: incisors snip and bite; canines pierce and tear; premolars shear and slice; molars crush and grind. Only some whales and anteaters lack teeth, due to their diets. When we arranged the displays of mammals and began our website in 1997 we organised the specimens according to the then accepted classification which placed a number of small insectivorous mammals together in the order Insectivora and seven orders of hoofed animals plus the whales (order Cetacea) together as �Ungulates�. 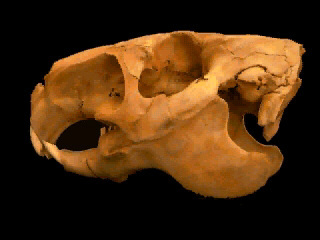 Since then phylogenetic studies using molecular analysis suggest that eighteen orders of modern eutherians represent four clade or lineages which diverged in the late Cetaceous period after the early eutherians had split from the early marsupials. These findings indicate that members of the order Insectivora should be split among two orders, the order Afrosoricida and the Eulipotyphla, and that four orders of hoofed mammals belong to one clade, the Afrotheria, and three orders � the Perissodatyla, Artiodactyla and Cetacea (whales) - belong to another clade, the Laurasiatheria. As whales now appear to be related to the lineage that gave rise to the hippopotami, a new order has been created to accommodate both cetaceans and artiodactyls - the order Cetartiodactyla. The order Perissodactyla remains as before. 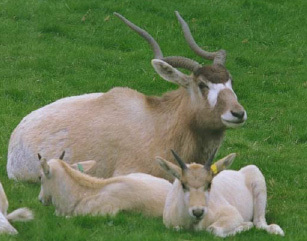 The other mammals are split between two other clades - the Xenarthra and Euarchontoglires as listed below. 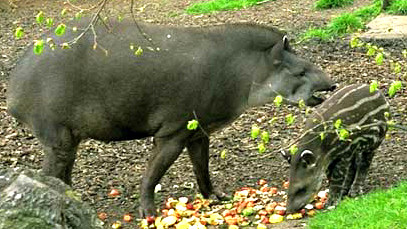 The clades Xenarthra and Afrotheria appear to have evolved in the Southern Hemisphere in South America and Africa respectively; the clades Euarchontoglires and the Laurasiatheria in the Northern Hemisphere. The web pages entitled 'the Tree of Life' explain how molecular analyses led to the order Insectivora being split. This latest update of our website was undertaken principally to place the exhibits of the fish, amphibians, birds and the remaining mammalian orders on the web site. While it has enabled us to review the overall classification of placental mammals and the links in the website, we cannot insert the new taxa into our early web pages at this time. The number of species of mammalis in each order is contraversial and varied between the sources we used for these pages. The numbers below, taken from Macdonald (2001), indicate the relative number of species within the different orders.